It seems as if wild rice is kind of the forgotten stepchild of the whole-grain world. 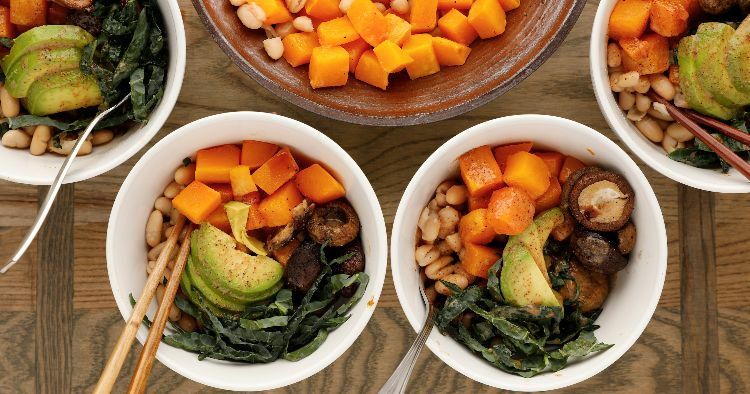 It rarely appeared on my dinner table until I started making the healthy Buddha bowl recipe below. This dish reminded me of just how tasty wild rice is, and what a nice change it is from the usual brown rice or quinoa. The tahini dressing is so versatile that I like to make a double batch and then use it for salads or as a dip for steamed artichokes later in the week. I often double up on the wild rice, too, and use it in salads or as a simple side for other meals. Preheat the oven to 425 degrees F. Line two large, rimmed baking sheets with aluminum foil or parchment paper. In a large bowl, toss the butternut squash with 1-1/2 tablespoons olive oil, 1/2 teaspoon salt and 1/4 teaspoon pepper. Spread the squash out on one of the baking sheets. In the same large bowl, toss the mushrooms with the remaining 1-1/2 tablespoons of olive oil, 1/2 teaspoon of salt, and 1/4 teaspoon of pepper. Spread the mushrooms in a single layer on the second prepared baking sheet. Roast for about 25 minutes, turning the vegetables and rotating the pans halfway through, until the vegetables are tender and beginning to brown. Meanwhile, heat the beans in a saucepan over medium heat. Add salt and pepper to taste. In the bowl you used to toss the vegetables, combine the tahini, lemon juice, syrup, vinegar, salt and pepper and stir to mix well. Add the water and mix to incorporate. If the dressing is too thick, add additional water as needed. To serve, divide the wild rice evenly among four serving bowls. 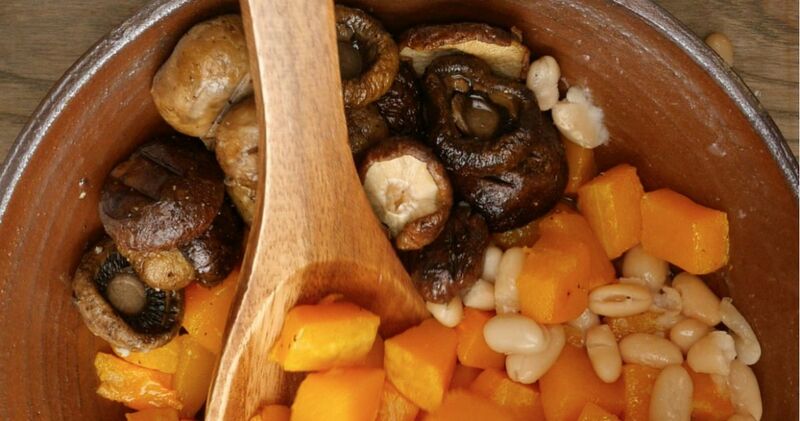 Top each with one-fourth of the squash, one-fourth of the mushrooms and one-fourth of the beans. Drizzle the soy sauce over the top. Add the avocado slices and kale strips on top of the bowl, and drizzle with the dressing.